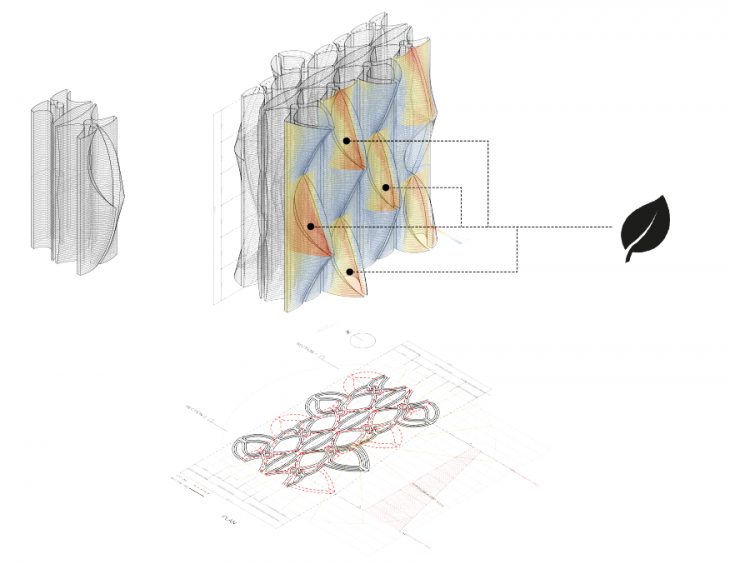 The IAAC program Open Thesis Fabrication 2017-18 (OTF) proposes to design and construct 1:1 architectural elements that take advantage of the latest computational tools, additive manufacturing process and the great thermodynamic properties of adobe to achieve passive performative system for a bioclimatic architecture. In the first phase (September – December) the program was based on ​three​ ​lines​ ​of​ ​exploration​: Design Studio, Techné and Scientific Research. The research lines provided design, technical en engineering skills to the students, who worked in 3 groups exploring the design potential as well as the structural and environmental properties of the material, and then systematizing their knowledge in a scientific paper. 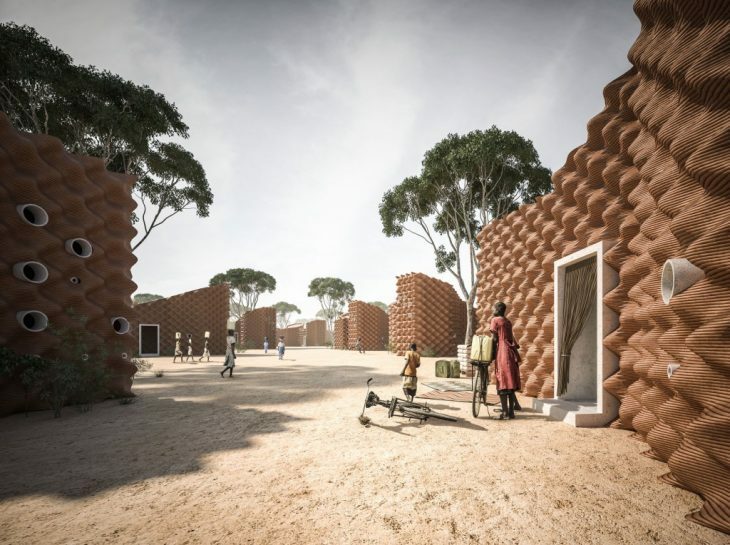 In the studio, groups of 3 students worked on the design of a passive habitat constructed with clay printing in three different contexts: the dense urban environment of the Barceloneta and the Valldaura natural park in Spain, as well as the emergency housing situation of the Kakura refugee camp in Kenya. Particular aspects of the Barceloneta are dense neighborhood, narrow streets, consequently low light and high humidity, which is mostly addressed by climatic patios and porosities in facades. The site is affected by sea breezes from May/June to September and winds from the west and northwest in winter. Taking advantage of breezes from the sea to the land gives a possibility to create micro-climates inside the building. The Equatorial Africa site is the Kakuma Refugee camp in Kenia. It represents the world’s largest UNHCR refugee camp with a current population of 142.000 people. The site is located at the latitude of 3.71° N, only slightly north from the Equator, featured by hot and arid climate, with low amount of precipitation. 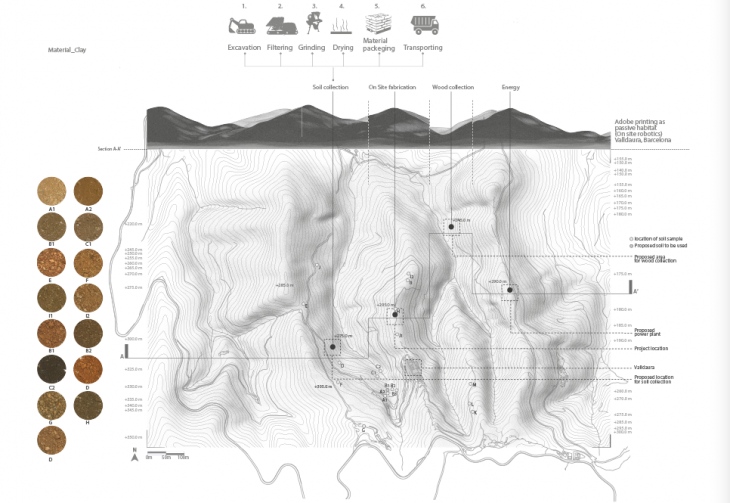 The aim of the project was to define a derivative construction system working with adobe printing technology for housing systems that leave no trace, as required in refugee camps. 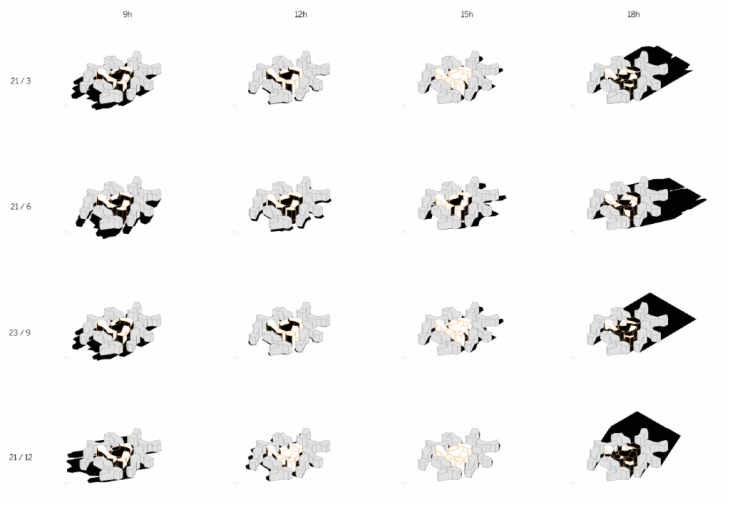 Climatic conditions especially in terms of the constantly high solar radiation required the housing design to be integrative of a series of geometric aspects, including the placement of the house in relation to the ground, the surface area exposed to the radiation, and the roof shape. 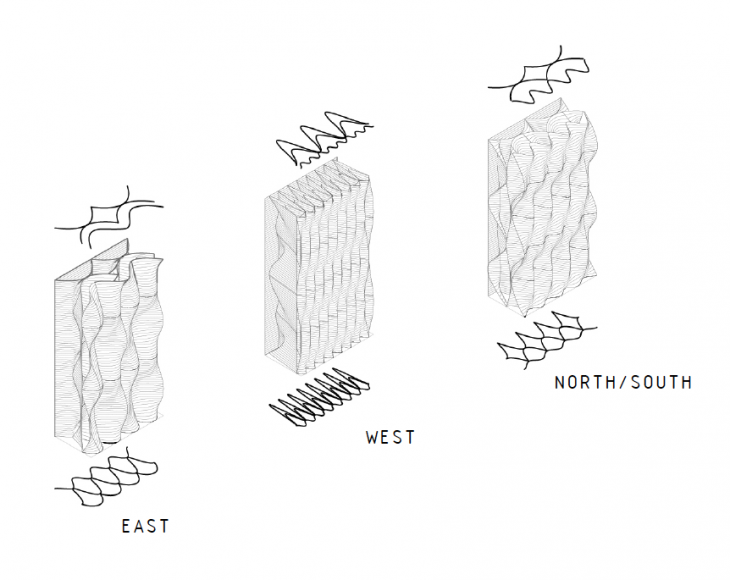 The wall system design changes according to sun radiation, with a different geometry and distribution of layers: structural clay, clay filling, insulation filling. 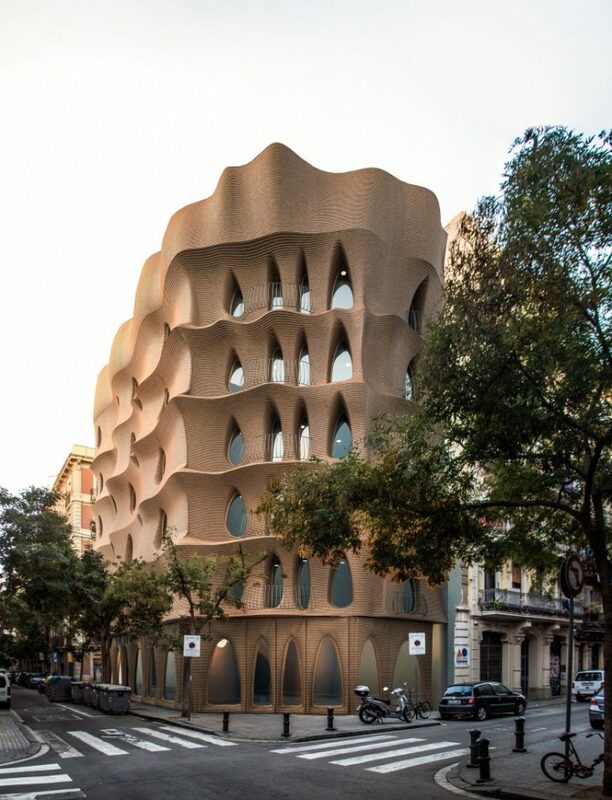 Following the vernacular local architecture, the individual shelter represents the unity of a modular system where the aggregation allow shading and climatic control. 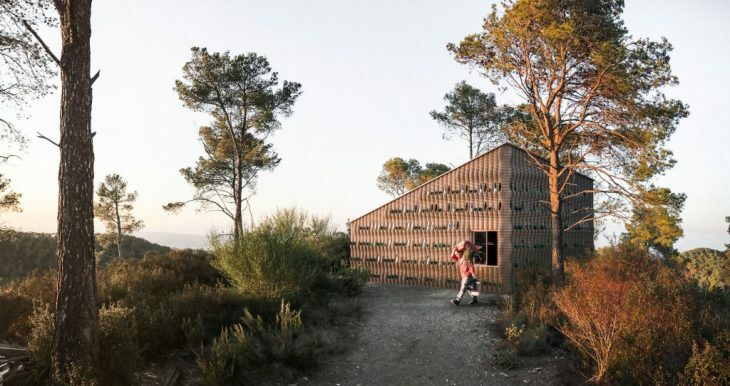 The site 3 is the Valldaura natural park, a mountain location in Barcelona characterized by a humid climate with a mild, humid winters and warm to hot summers. 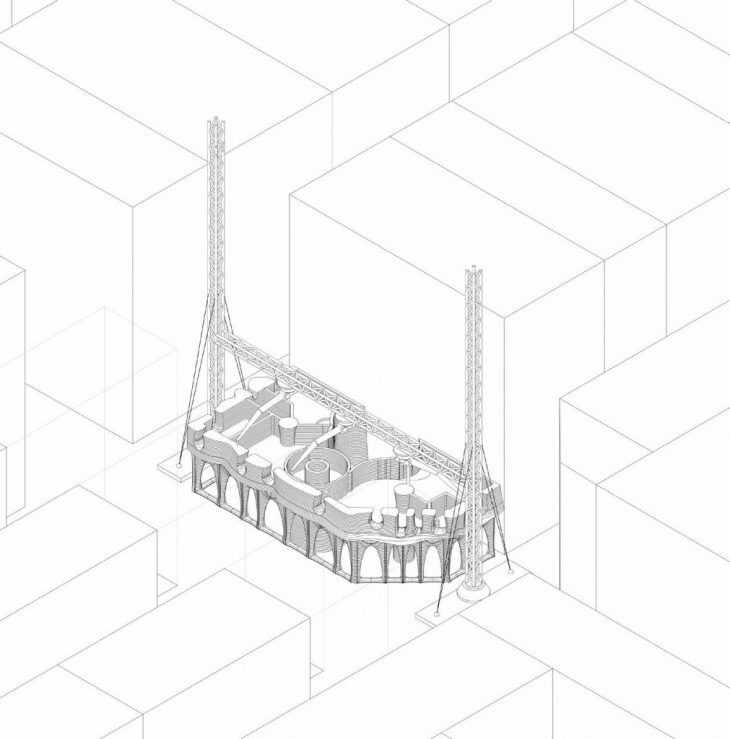 The proposal is an individual habitat embedding food production system in the architectural design. 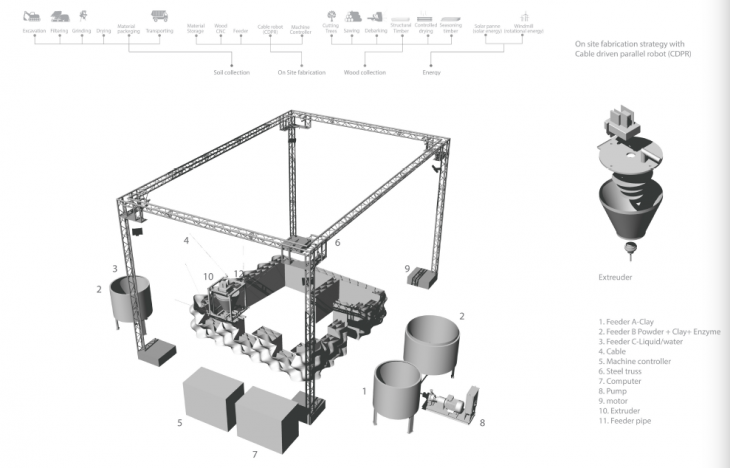 The fabrication strategy is based on the use of a Cable Robot with an integrated CNC control to automate the movement of a 3D extruder, using a composition of local earth as printing material.